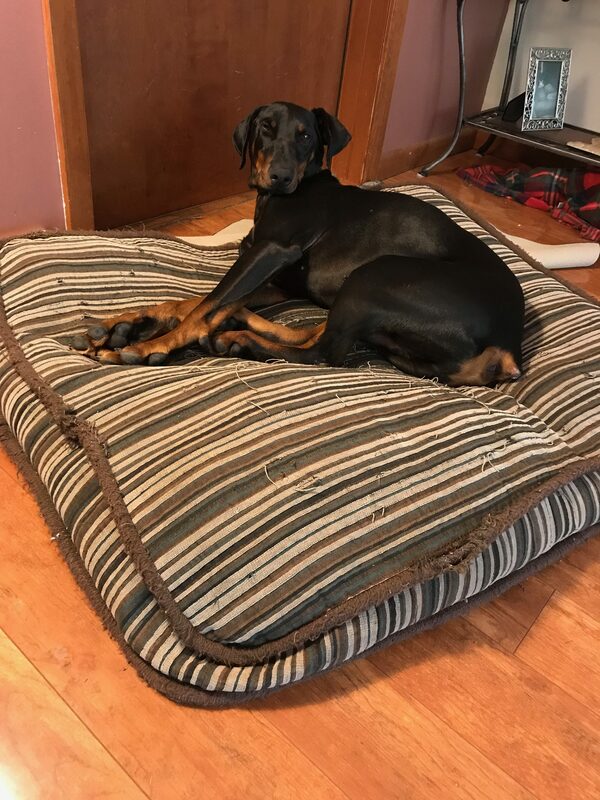 This young, handsome black and tan boy is Zack. 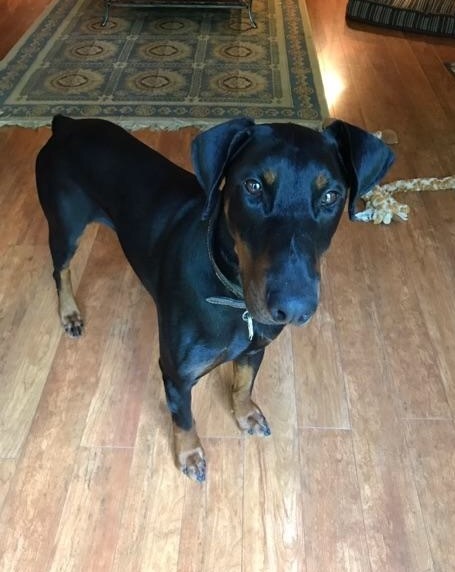 He is about 18 months old and is other dog friendly and loves playing with his young foster sister. 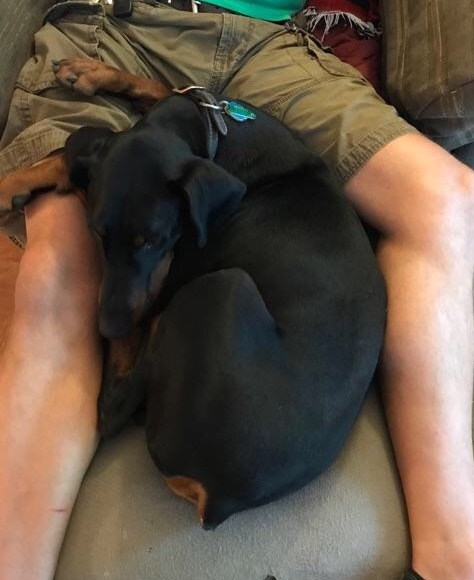 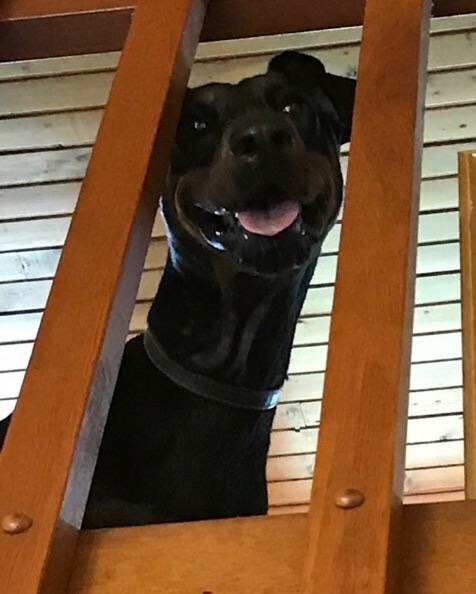 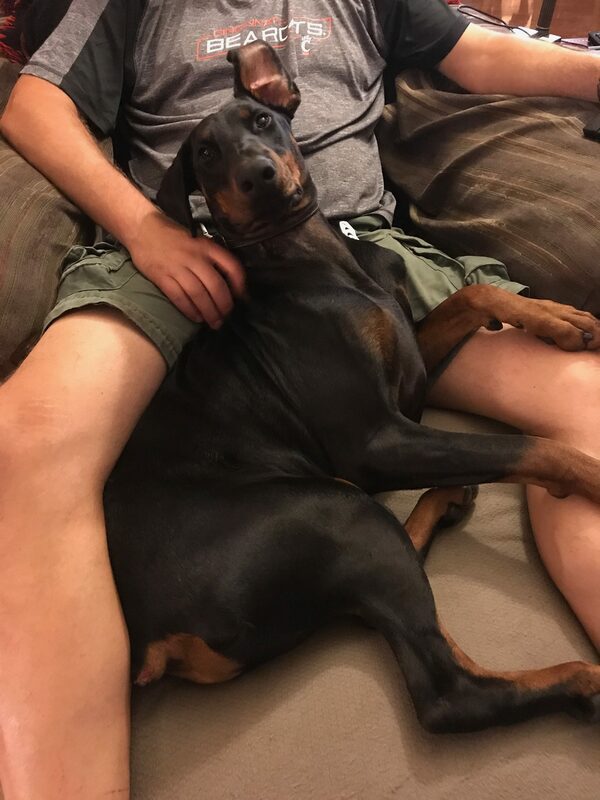 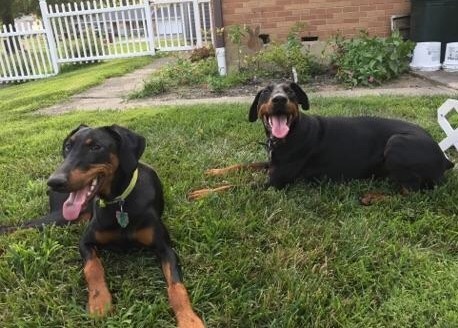 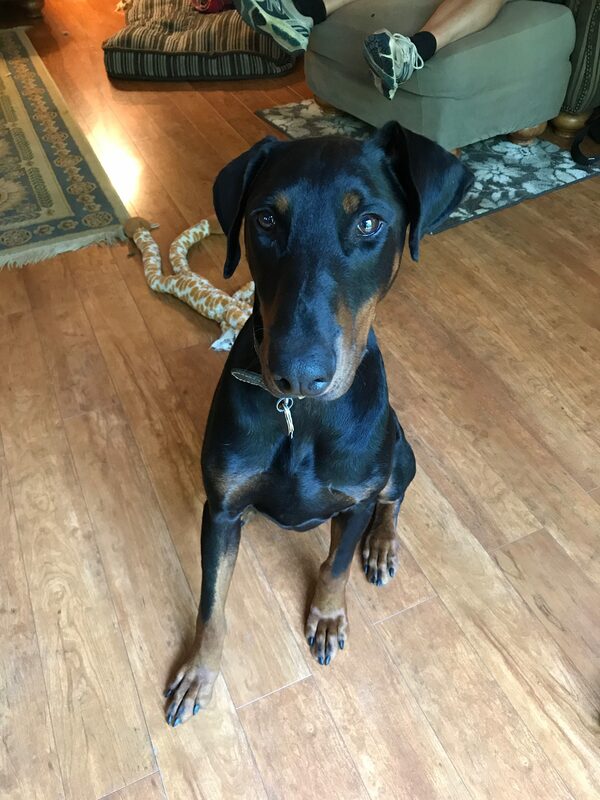 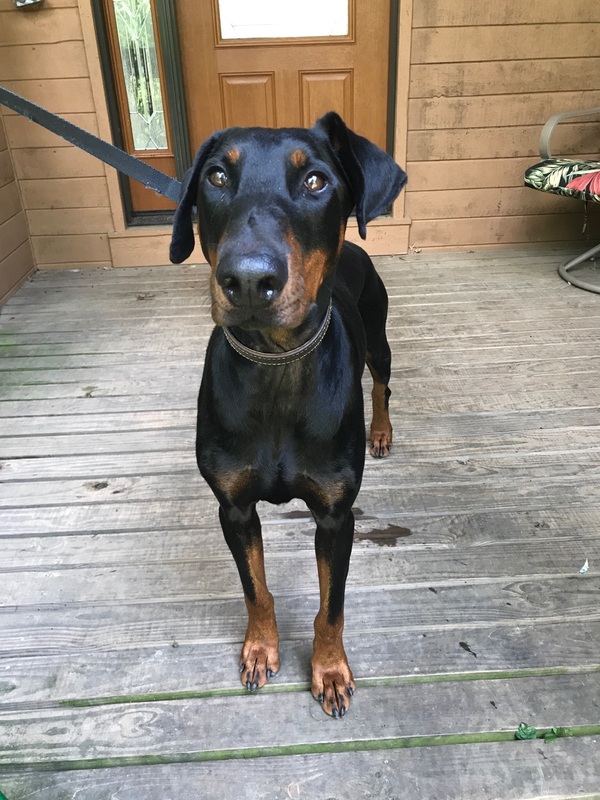 As a typical dobe, he is fairly Velcro, frequently doing the dober-lean, and wants to be where his foster people are. 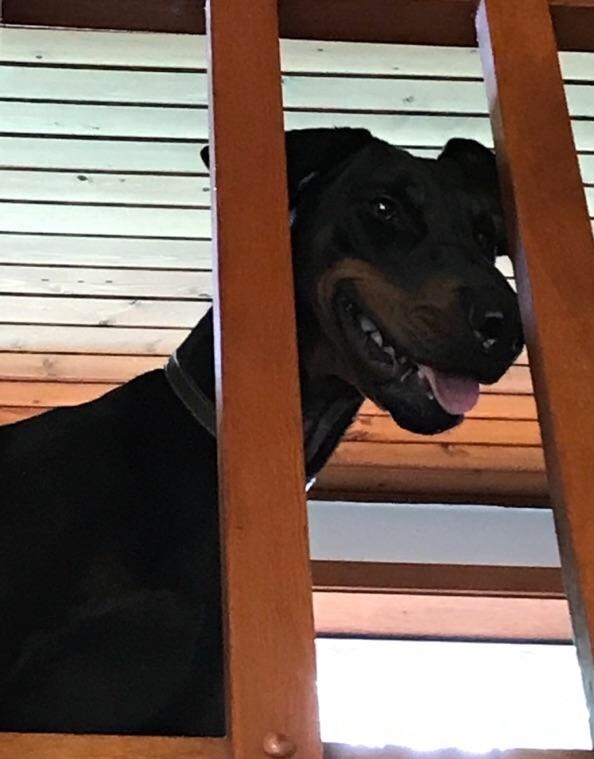 He's learning all sorts of things in his foster home like how to go up/down steps, how to walk properly on the leash (including now how to run with someone on the leash), he knows sit and is working on "heel". 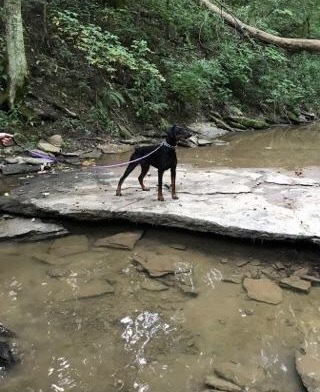 He is also working on building up his confidence, not fearful, just a little hesitant at first in this new environment. 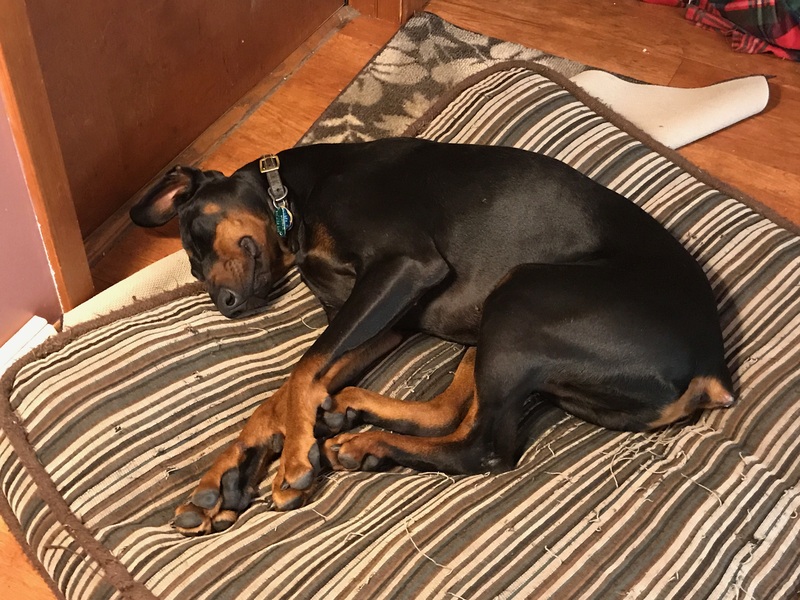 He is crate trained and will need to be crated when left alone. 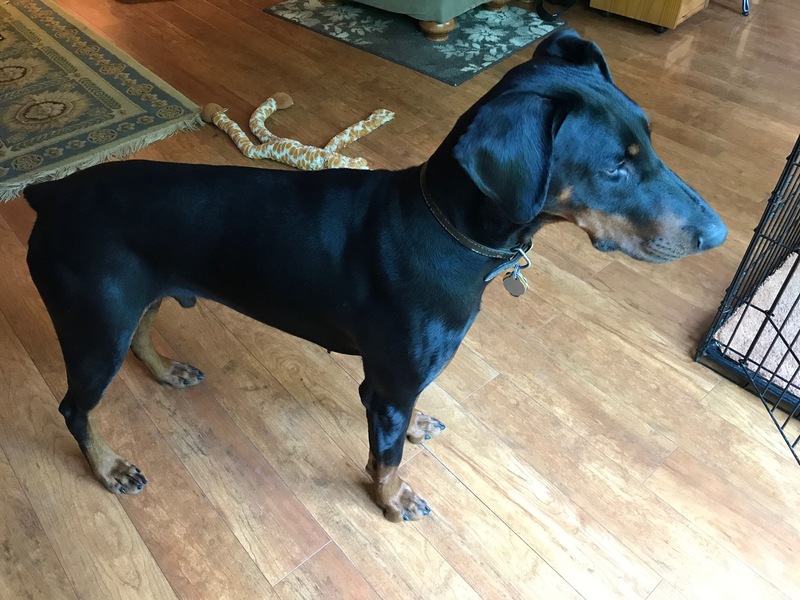 He is an active dog so would be best in a fenced yard. 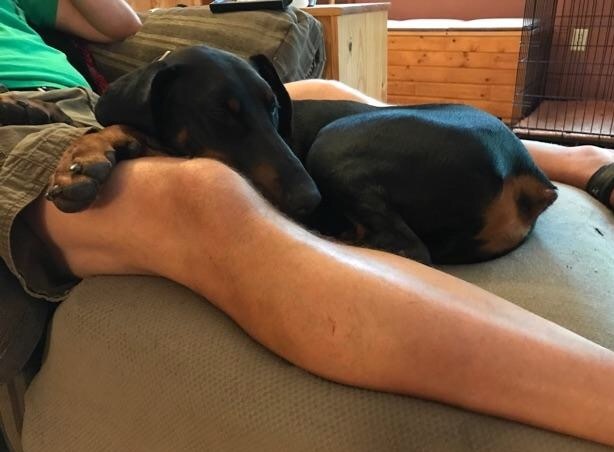 This loving boy just wants his own forever home and forever people.